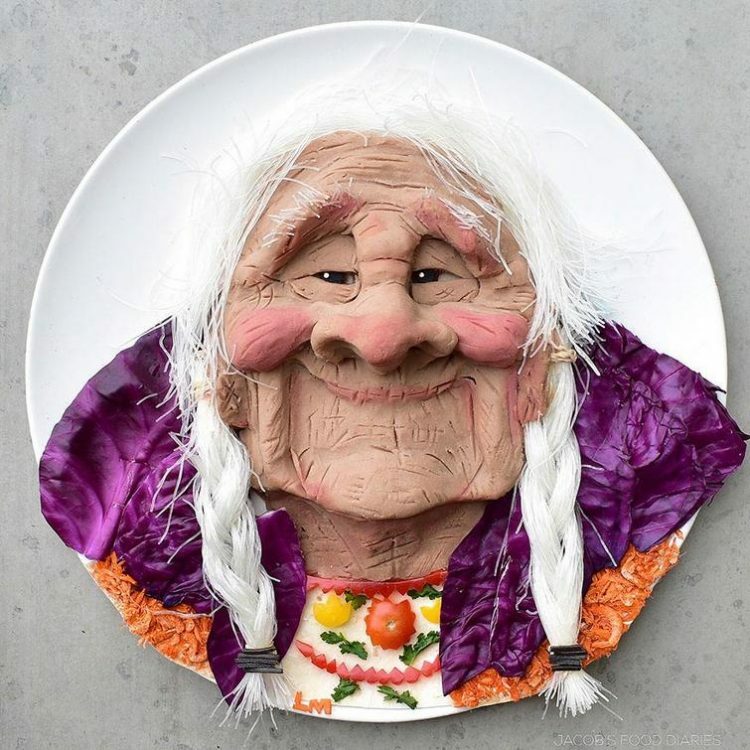 Today, Dan Drake, aka ‘Dancakes’, is known as one of the world’s most talented pancake artists, but few people know that he never planned, nor trained for this career. He was just a guy flipping fried foods at a diner to make ends meet, but his artistic talent catapulted him to international fame. Dan had always had a talent for drawing, but never really considered turning it into a career. In high-school, he would doodle and draw comics in the back of the classroom out of boredom, and dreamed of becoming a renowned musician with his band, Psychedelic Psycho Nuts. While trying to get his musical career off the ground, Drake got a job as a fry cook at the Courtesy Diner, in his home city of St. Louis. Because he needed to earn his chops, he was placed on the slow shifts, which resulted in few tips but a lot of time on his hands. 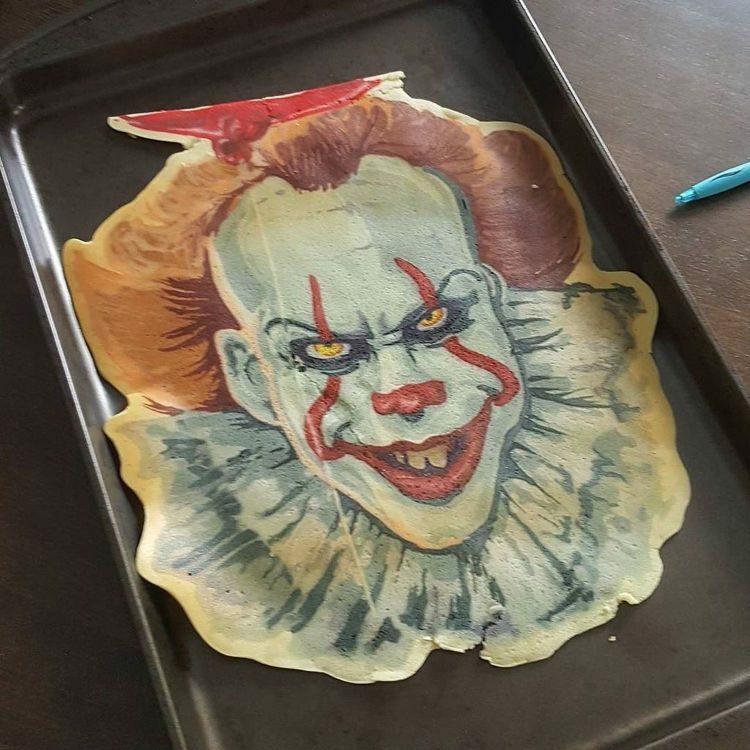 It was on one of these shifts that he got his feet wet in the world of pancake art. 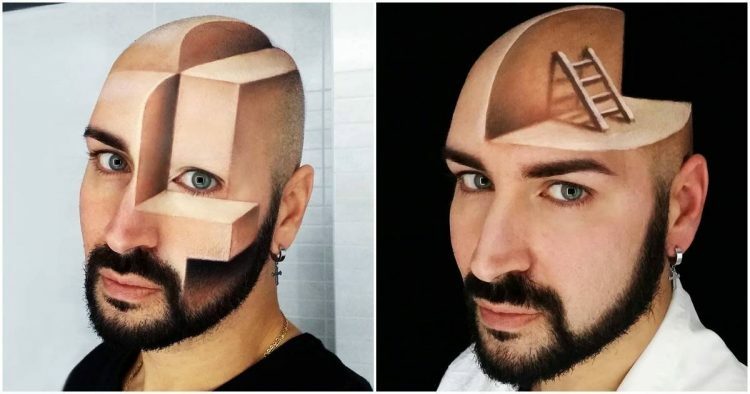 40-year-old Luce has been working as a television makeup artist in Italy for over 18 years, but only started using his body as a canvas for optical illusions in 2014. 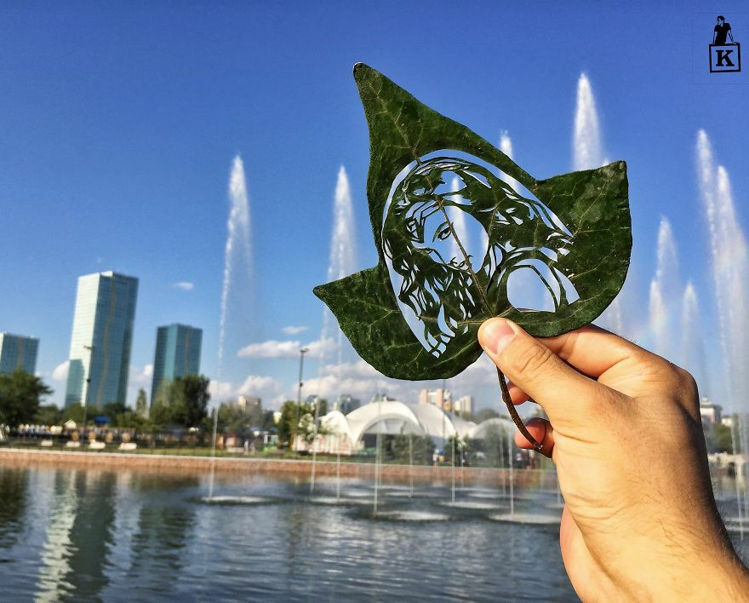 He first made a name for himself online in 2015, when photos of his hand-painted optical illusions went viral on social networks like Instagram and Facebook. 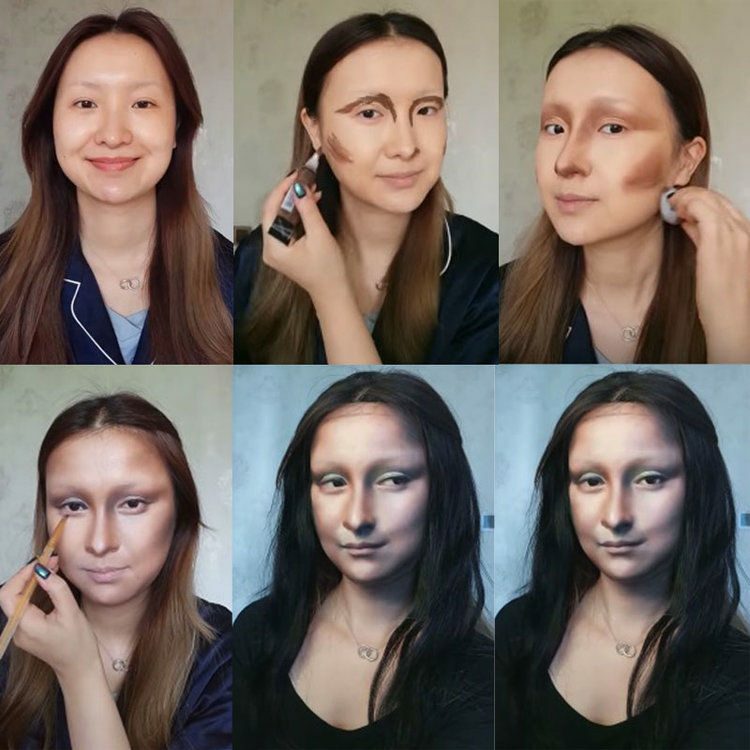 He’s come a long way since then, moving from his hands to his own head, which he now “carves”, “pierces” and “distorts” using only makeup supplies and mountains of talent. Looking at the artworks bellow, you could swear they the charcoal drawings of a talented artist, but they’re actually not drawings at all, but hair paintings, and they’re hand-made not by an artist, but a skilled hairdresser. 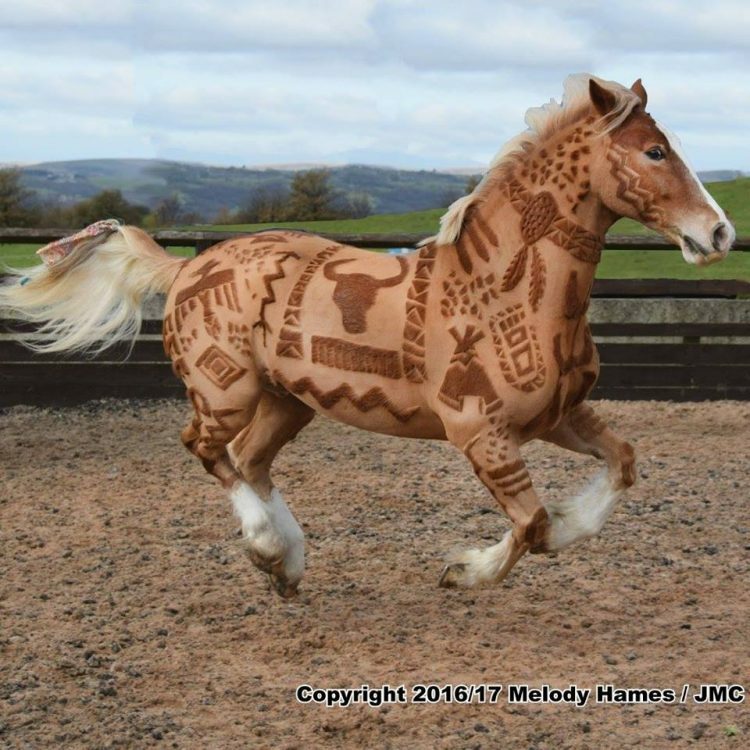 Allen Chen, who works as a hairdresser at the XB Hair Professional salon in Changhua, China, recently became an internet sensation in his home country, after photos and videos of his incredibly detailed hair paintings went viral online. 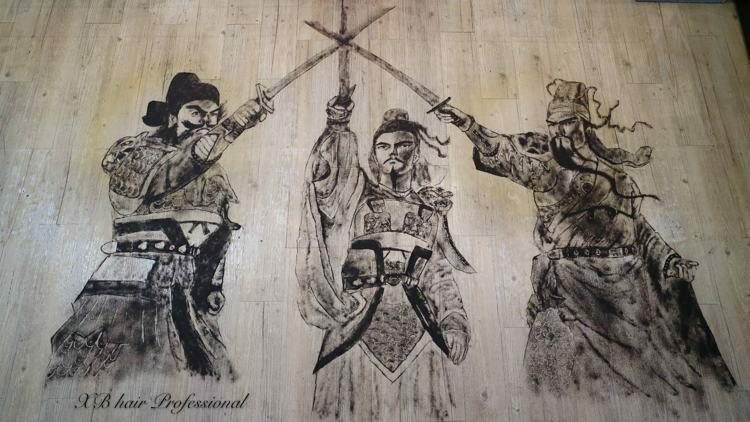 His latest masterpiece, a “hairy” portrayal of Romance of the Three Kingdoms heroes Liu Bei, Guan Yu and Zhang Fey has been massively shared on Weibo, and videos of the young hairdresser carefully arranging the hair trimming to create the three characters have already been viewed millions of times. And looking at the quality of these artworks, it’s easy to see why everyone is so impressed by Allen’s talent. 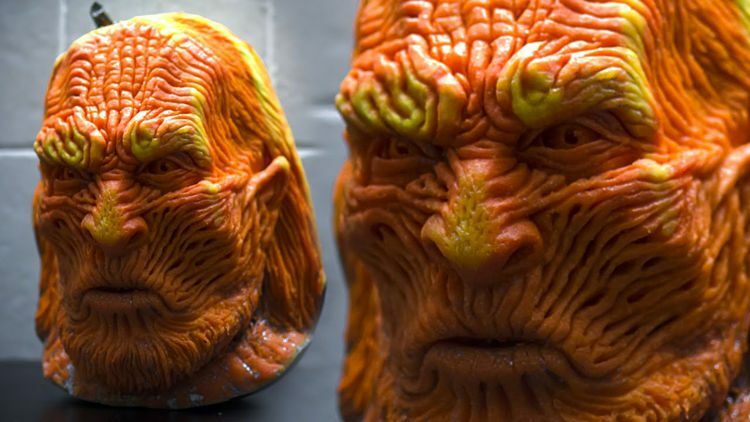 Kai-Xiang Zhong, a 24-year-old self-taught artist from Taiwan, has been called the “Tony Stark of cardboard” for his ability to create truly incredible sculptures out of a material that most of us throw away. Zhong first attracted online attention to himself in 2013, when photos of one of his impressive cardboard creations, “The Dragon” went viral. Then, a year later, he once again stunned the internet, this time with a life-size replica of Marvel’s Iron Man, made exclusively out of corrugated cardboard. 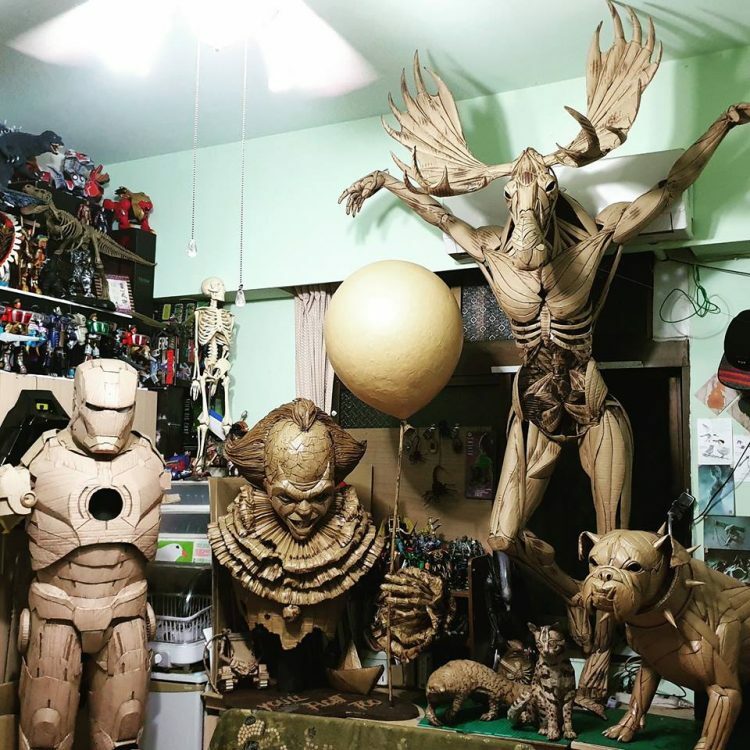 Over the last three years, the young Taiwanese artist has been busy adding to his collection of stunning cardboard sculptures, which now features life-size animals, monsters and an awe-inspiring bust of Pennywise, the scary clown from ‘It’. 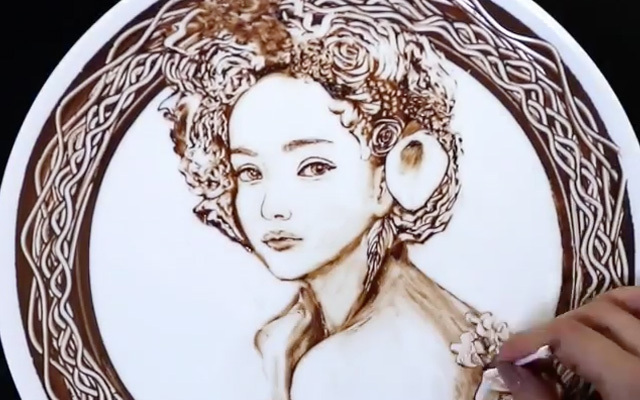 A talented food artist from Japan has getting a lot of attention on Instagram for her ability to turn plates into delicious works of art by painting them with melted chocolate. 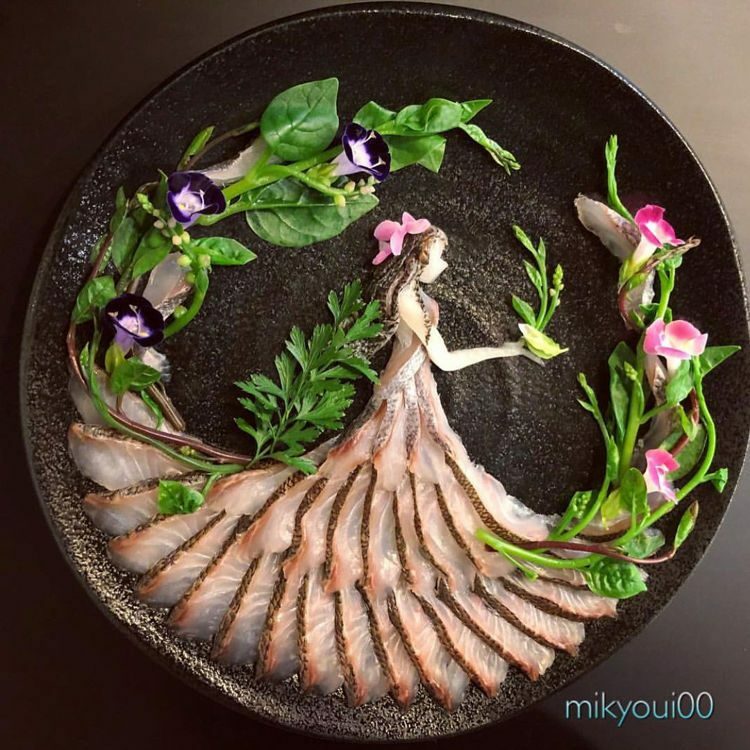 Most parents often tell their children not to play with their food, but if the melted chocolate of Japanese artist Norico are any indication, playing with your food can lead to some spectacular results. Using only her fingers and some basic kitchen utensils, Norico can painting anything from portraits of Japanese celebrities and popular cartoon characters, to abstract geometric motifs and wedding reception messages. 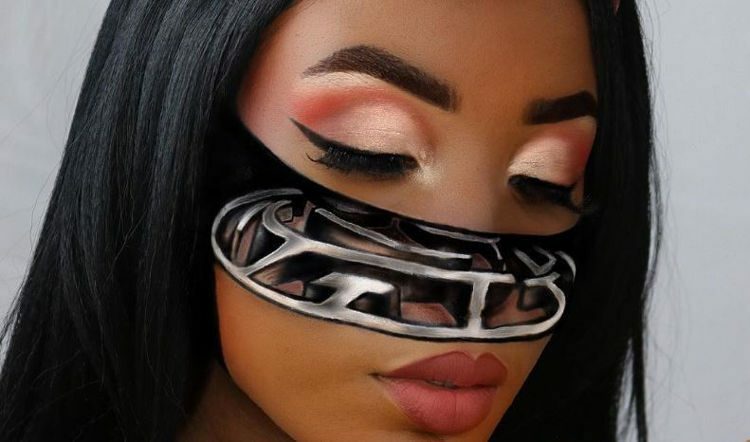 The ephemeral nature of her art allows Norico to experiment at her heart;s desire, and in her Instagram and YouTube videos she often cleans her unusual canvas several times after creating some exceptional painting and start all over again.